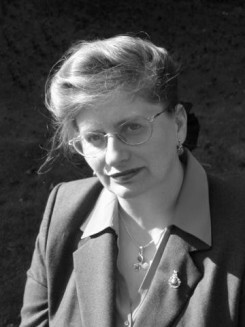 Sarah Hawkswood read History at St Hugh’s College Oxford, taking Military History and Theory of War as her Special Subject, and has worked in a regimental museum, written educational material for Salisbury Cathedral, catalogued weapons from muskets to missiles, and undertaken research for the Royal Marines Museum. After ’time out’ as a full time mother, she returned to research that culminated in From Trench and Turret – Royal Marines Diaries 1914-1918 under her maiden name, S M Holloway, (Constable 2006). By this time she had begun to write historical fiction, in which creation of a ‘world’ is central, and which tries to stick as close as possible to accurate historical context. 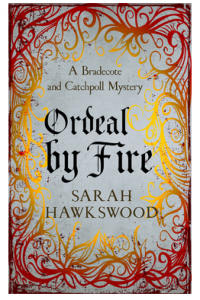 She admits that her Bradecote and Catchpoll series is a bit of a cheat, since active ‘investigating’ by Sheriff’s men is far more akin to police work than the twelfth century and ‘hue and cry’. 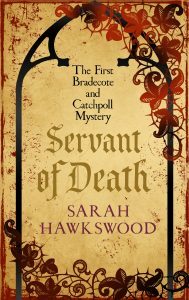 When not writing the Bradecote & Catchpoll series she writes ‘trad’ Regency novels, but these are biding their time until the genre is publishable again. She likes switching between the two worlds.